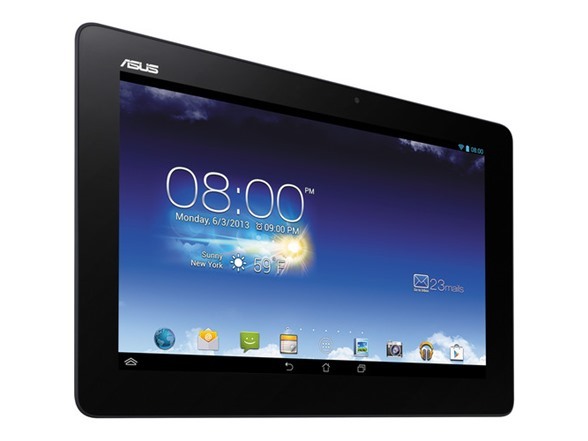 ASUS MeMO Pad™ FHD 10 delivers vivid visuals and a 178° wide view angle, 1920 x 1200 Full HD IPS display. Qualcomm Quad-core (1.5GHz) with 2GB memory for a smooth web-surfing experience and low power consumption for all-day computing. With a two-dimensional back cover and a Full HD 1920 x 1200 display, the ASUS MeMO Pad FHD 10 is a device you'll want to show off. A 5MP rear camera and 1.2MP front camera lets you capture life's moments and keep in touch with family and friends through video calls. 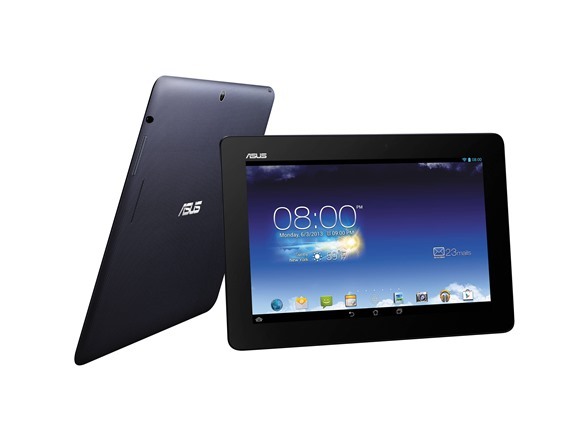 The ASUS MeMO Pad FHD 10 delivers rich audio through stereo speakers with ASUS-exclusive SonicMaster audio technology. These metal speakers feature large resonance chambers for enhanced volume, audio fidelity and balance. 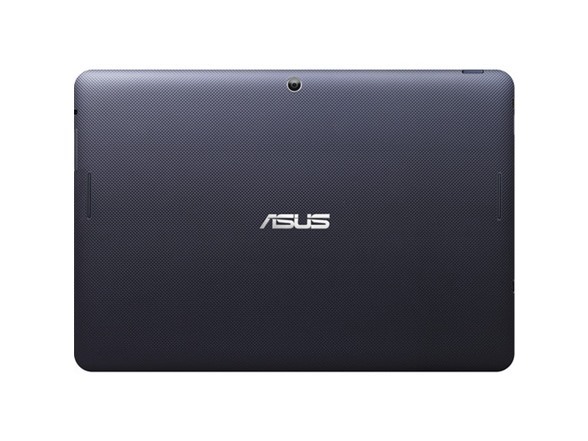 The ASUS MeMO Pad FHD 10 weighs 580g and has a thin 9.5mm profile, allowing you to take it wherever you go. Your MeMO Pad FHD 10 has a microSD expansion slot with support for an additional 64GB of storage. Dimensions: 10.4 x 7.2 x 0.4"